If you love being outdoors then visiting Arizona is a must destination for you. There are so many opportunities to go hiking and enjoy the beautiful scenery. In the past, we have always visited Scottsdale and we were surprised that we have never visited Tempe. I am sure that we drove by and didn’t realize how much there was to discover. 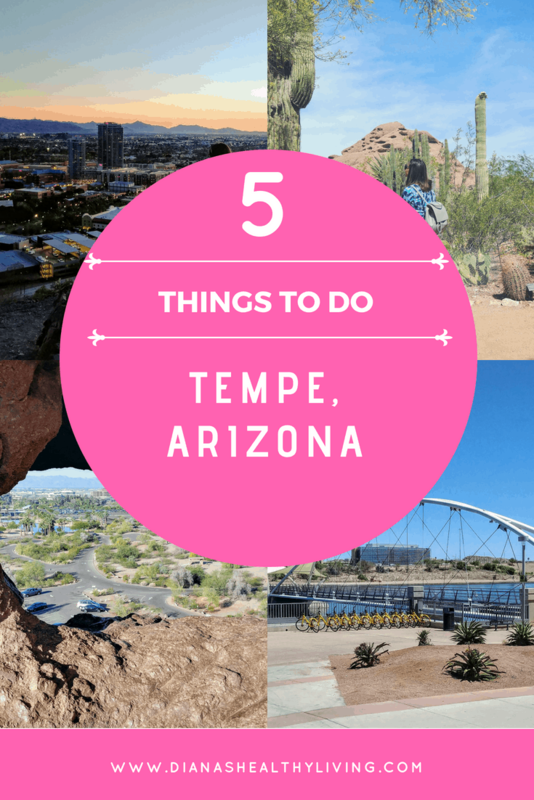 I thought I would share my top 5 things to do in Tempe, Arizona. 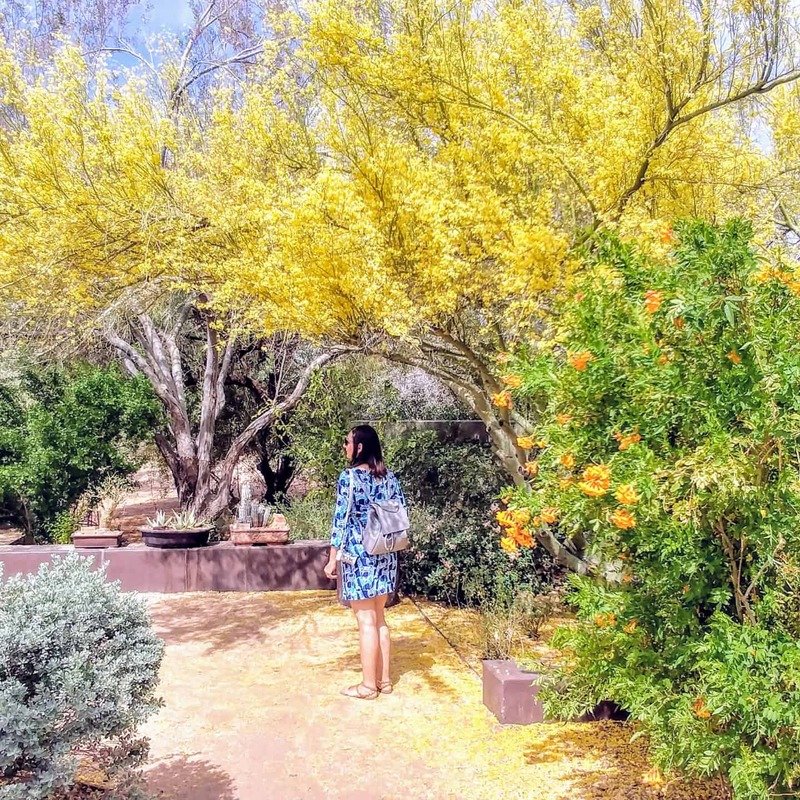 This vibrant urban oasis is in the heart of Metropolitan Phoenix. Tempe is a college town, home to Arizona State University (ASU), one of the largest universities in the country. 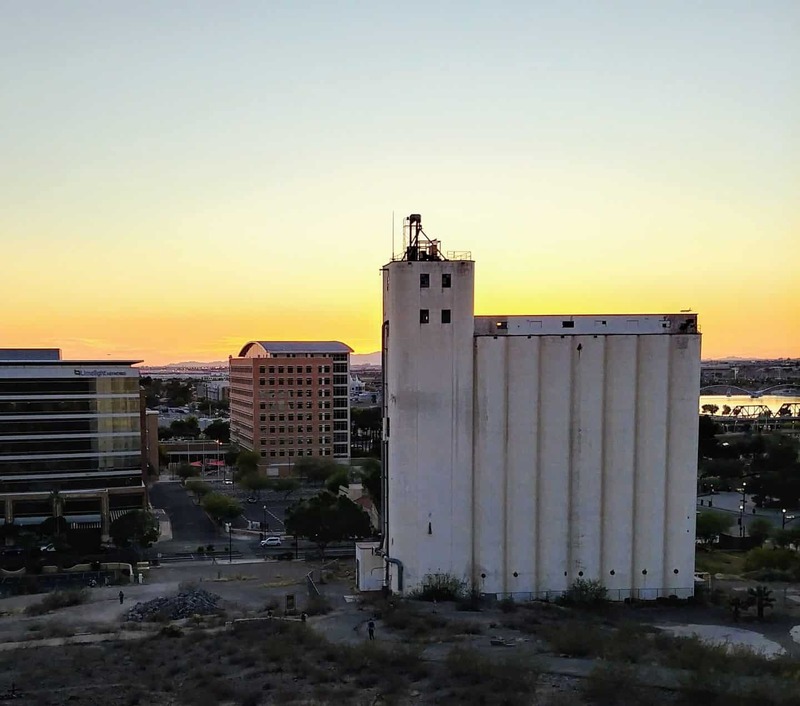 Tempe has it’s own personality making it a hidden gem. 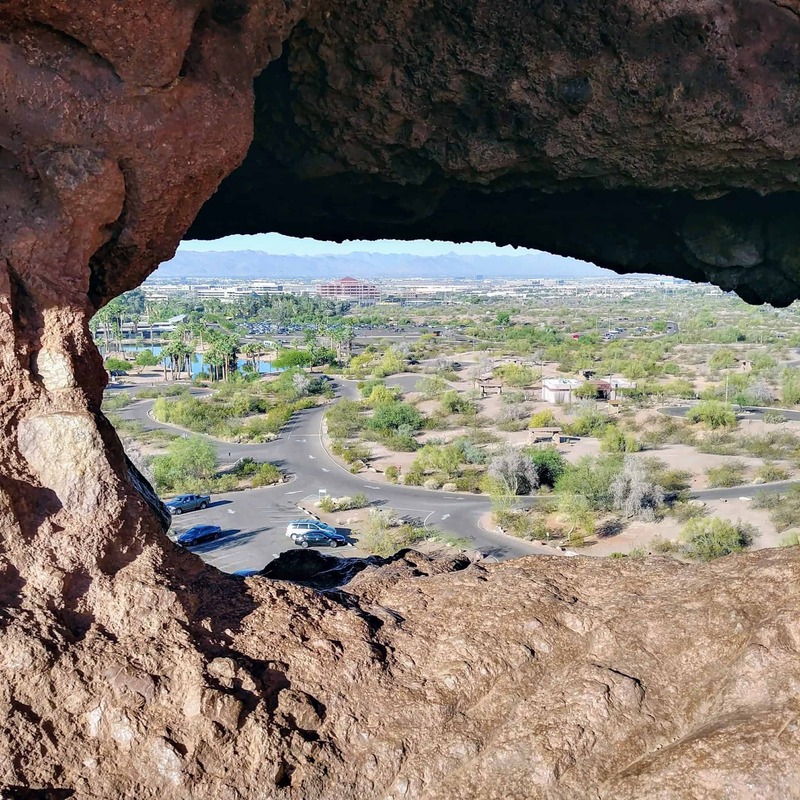 Hayden Butte Preserve is located right in the heart of town making it accessible for anyone to enjoy a quick hike and take in the magnificent views from the top. 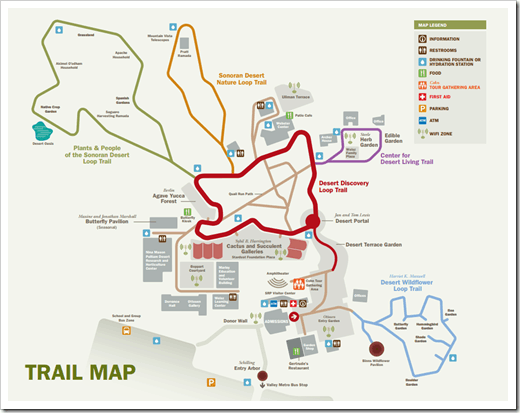 The parking is super easy and there is a paved trail making this hike easy for almost anyone. It was an easy hike (although steep at times) but the path is paved. The sunset views from the top are amazing. 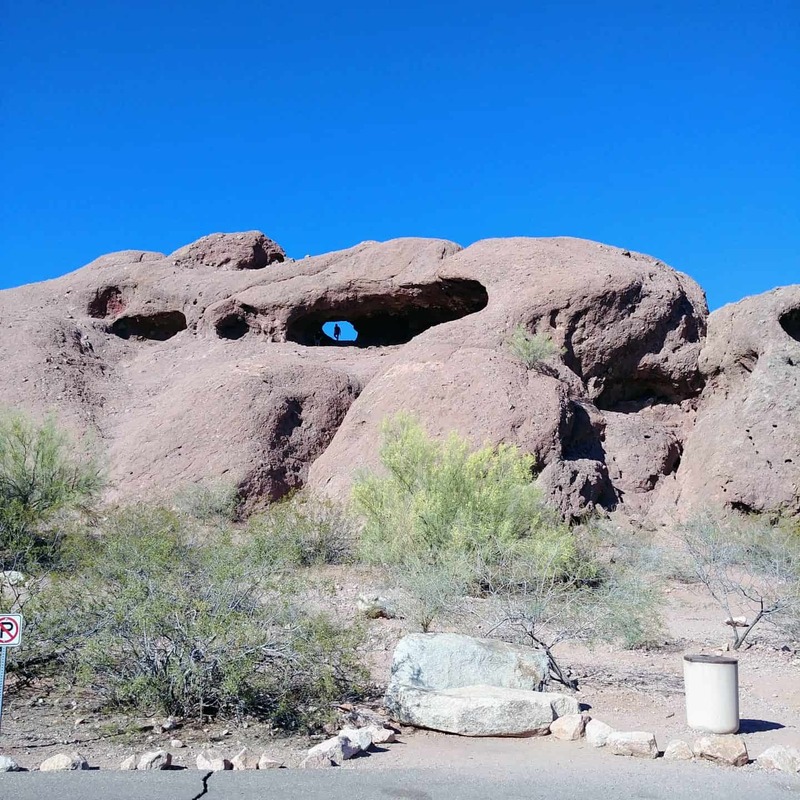 If you are in Tempe you can’t miss the iconic hole in the rock. 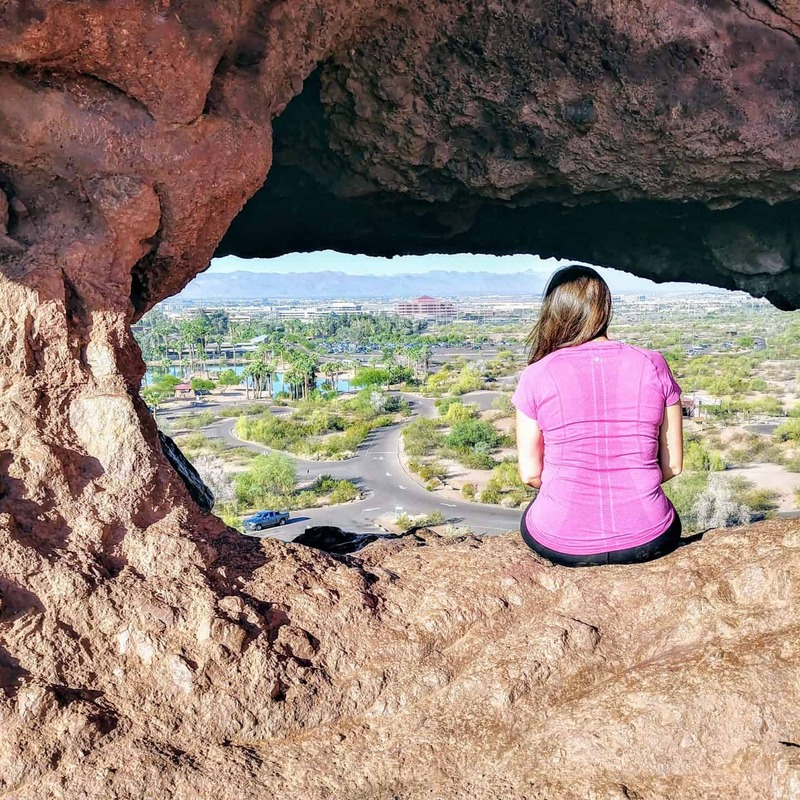 Papago Park is typically smooth with little elevation gain, providing easy access for walking, hiking, mountain biking or trail running. The park is split into east and west sides by Galvin Parkway. Don’t try to climb to the hole from the front, unless you want a challenging hike. The hole is easily accessed by hiking to the back side of the mountian. There are paths that will lead you to the iconic hole. Once up there, we were amazed at the spectacular views. The iconic Mill Avenue is the best place to eat, drink and hang out with the locals. 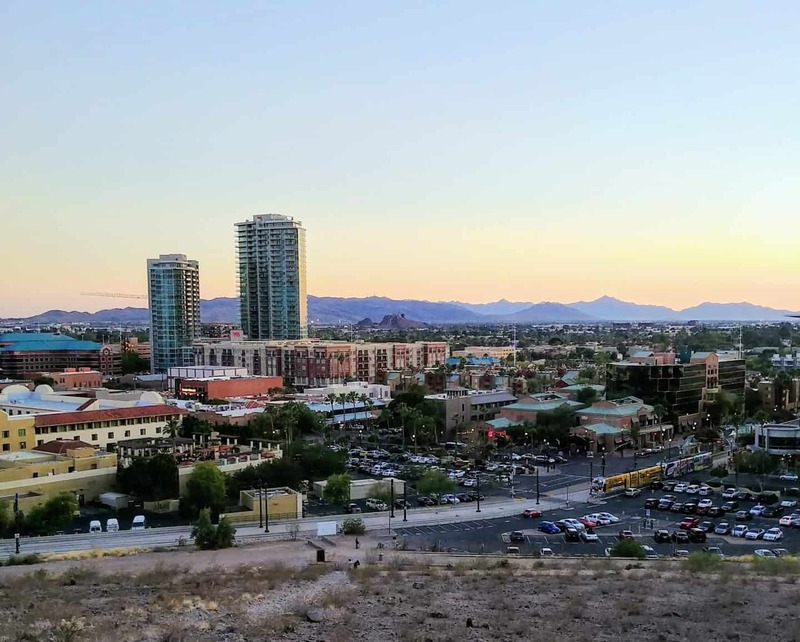 Downtown Tempe is well-known for its locally owned restaurants, bars, and shops. 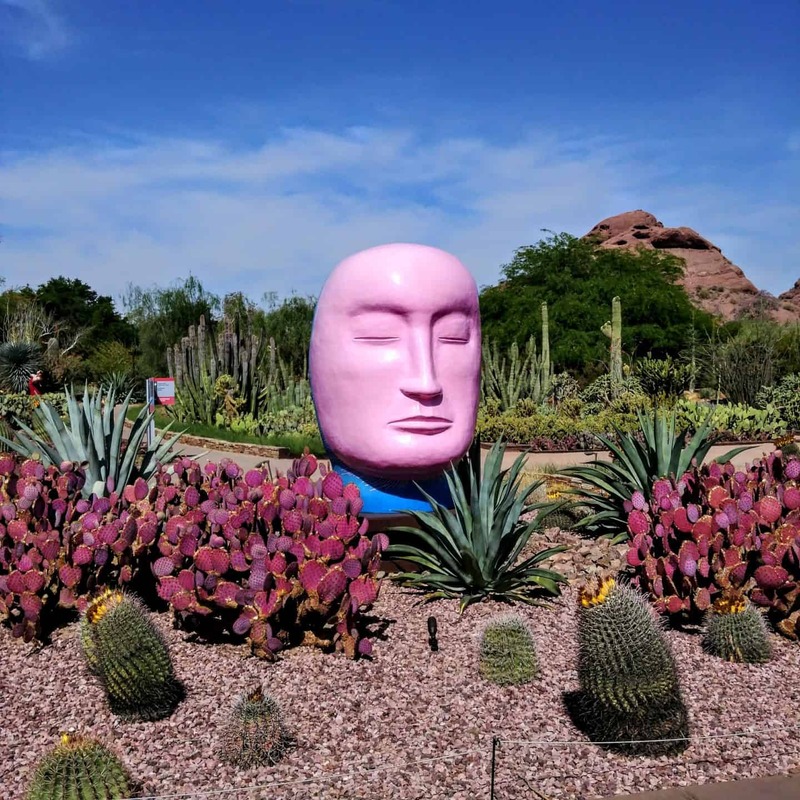 The Desert Botanical Gardens are such an unexpected surprise in the middle of the desert. I didn’t realize how large the botanical gardens are and how much there is to see. If you are a bird watcher then you will be in heaven as this is a birding sanctuary. 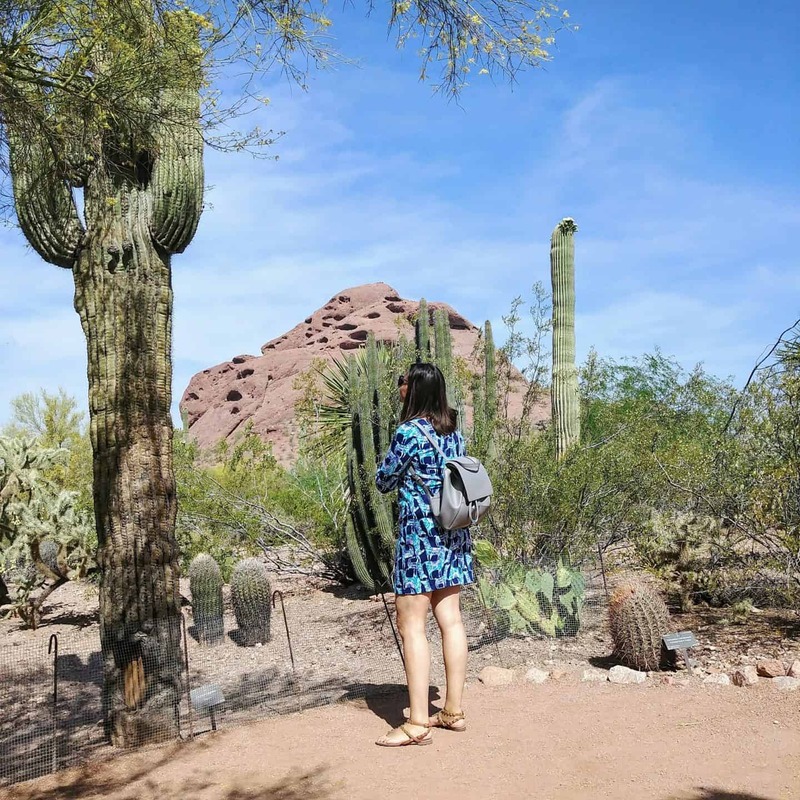 With 50,000 desert plants nestled amid the red rocks of the Papago Buttes at Desert Botanical Garden you can literally spend the entire day strolling through the trails and taking in the towering cacti and alluring succulents and brilliant wildflowers. Tempe Town Lake is another unexpected surprise. I never thought I would see a lake in the middle of the desert. This reservoir occupies a portion of the dry riverbed of the Salt River as it passes through the city of Tempe, Arizona just north of Tempe Butte. 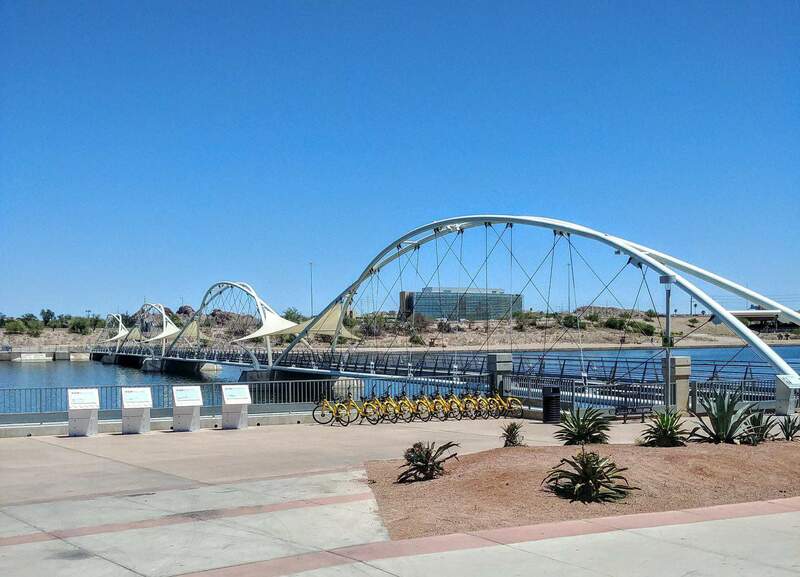 Tempe Boat Rentals offers one of the best ways to enjoy Tempe Town Lake. With a selection of kayaks, rowboats, stand-up paddle boards, pedal boats, and electric boats, there is sure to be something to fit your needs. We took the pedal boats out for a spin. It was a lot of fun and a great workout. It is a great way to get a different view of the city. 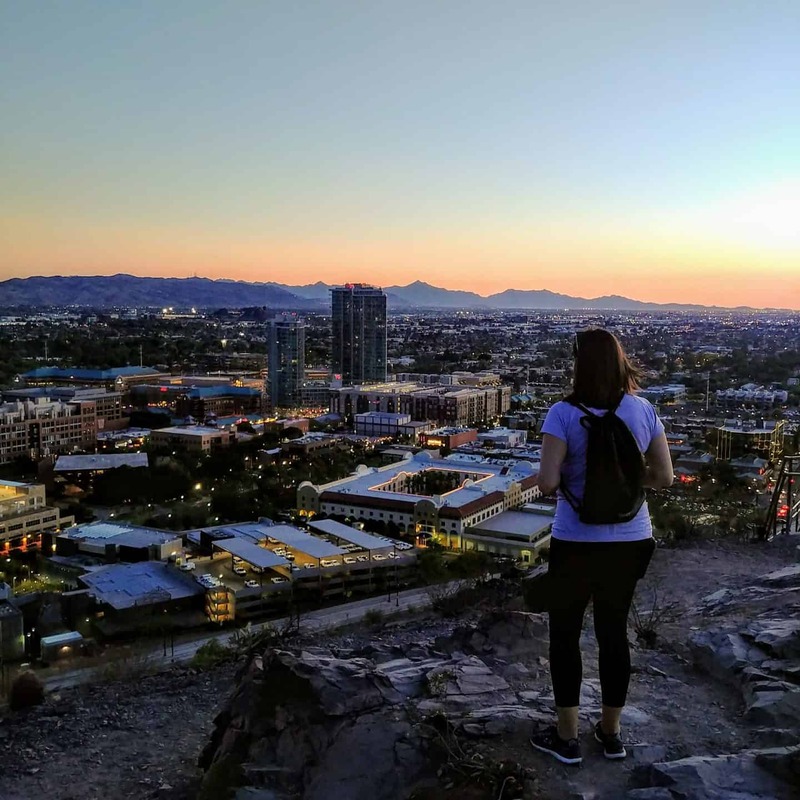 There are so many things to do in Tempe and we just got a taste of what this hidden gem has to offer. Disclaimer: I was hosted by The Tempe Tourism Board. All opinions are my own. Those parks work well for me Diana. Lovely views and the climate seems just fine as well. May be as hot as Hades during summer time months but the rest of the year it would be ok to me. I am so used to hot and sometimes humid conditions living in the tropics for a number of years. Rocking job as always on this post. Hi Ryan, it was just a little warm on our trip but it can get well over a 100 especially in the summer months so hiking during the day isn’t probably a good idea. I love the heat as well but it’s not humid in Arizona – it’s actually pretty dry. There is so much to do there – a must visit. I love the place already, Thanks for giving us a tip on how to climb the hole easily. There are a lot of things to do in Tempe and i’m sure it will all be exciting. I want to explore this place, too. I hope you get a chance to visit – it’s so amazing.